It is with immense sadness I learnt today of the passing of Russian scientist Vladimir Rubtsov at the age of 64 after an illness. We corresponded on quite a number of occasions over many years. To his family and friends my sincere condolences. We have lost a great researcher and a real gentleman. I had the pleasure to read his excellent Tunguska book and when he asked me if I would review it I did so without hesitation. A great book by a great researcher. Something extraordinary happened over the Tunguska forest in central Siberia on June 30 1908. Much has been published about what may have happened. In terms of accessible books outside of Russia there is limited material. 1977 saw the publication of 3 books – “The Fire Came By” by John Baxter and Thomas Atkins, “The Tungus Event” by Rupert Furneax, and “Tunguska – Cauldron of Hell” by Jack Stonely. 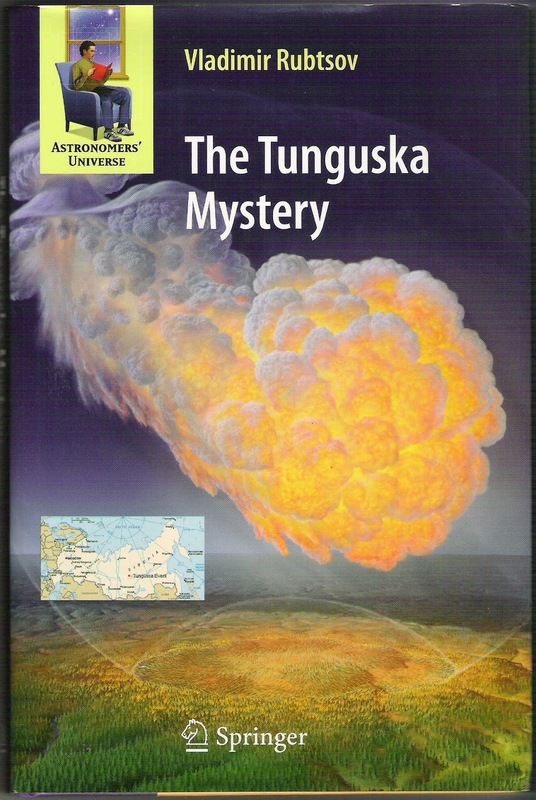 More recently (2005) Surendra Verma’s “The Tunguska Fireball” explored the mystery of the massive explosion, providing a good overview of the mystery but concludes that the jury is still out. Dr. Rubtsov researched the Tunguska mystery for 35 years and his Tunguska book’s strength lies in this dedication and persistence. 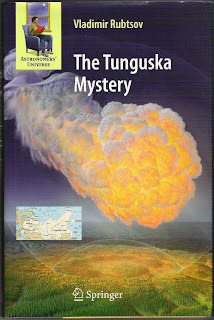 Unlike the western books that preceded it “The Tunguska Mystery” uniquely presents the vast amount of research done in Russia on the subject over the last 100 years. It is extensively anchored in Russian research much of it unseen by western researchers. Richly documented and illustrated it represents an exceptional presentation of the facts and controversy uncovered by Russian researchers. Dr. Rubtsov also addresses significant western efforts on the subject, such as the blast magnitude computation modelling from Sandia National Lab scientists Drs. Boslough and Crawford. These argued for a lower magnitude event than previously accepted, but Rubtsov highlights that such arguments are of limited value until they properly consider the topography of the Tunguska site. The Sandia scientists plan to try to undertake this work. Despite the consensus of mainstream western science that the Tunguska event has been explained as due to a meteorite, asteroid or similar natural space object, Dr. Rubtsov has richly argued with compelling data that such certainty is not justified. Instead he asks, “Why has such a rich set of empirical information not yet been transformed into an accurate and rational theoretical scheme explaining this phenomenon? … Logic, discipline of reasoning, ability to match theoretical considerations with factual material – all these are important in the next stage of scientific investigation, the stage of testing the proposed ideas.” (Rubtsov, page 303) I found it fascinating and very informative to follow Dr. Rubtsov’s consideration of even exotic explanations such as “artificial” objects, even extraterrestrial ones. Even though like the mainstream “explanations” he argues they cannot yet be considered as “final solutions.” The critical process elaborated in this book is the development of “the multidisciplinary model of the Tunguska phenomenon.” The necessity of correctly determining the true answer that fits that model is critical. Indeed it is a matter of survival. Another Tunguska style event would be potentially devastating if it occurred over a populated area. Vladimir Rubtsov has provided a potent distillation of the facts, particularly the vast body of Russian data gathered over the last century, much of which is poorly understood by the West. This alone makes the book a very worthwhile contribution to our comprehension of the extraordinary Tunguska event of 1908. I enjoyed this book very much, but I’m sure given the passion and extent of the Tunguska debate so far, the debate and controversy will continue. The type of focus called for by Dr. Rubtsov and proper consideration of the issues and detail described in his book will help steer us closer to that much sort after but so far elusive “final solution” of the Tunguska enigma.